Each hero is born into a house, has their own personality, and their own traits. Houses are a cosmetic option that does not have any impact on gameplay or the characters personal attributes. Traits can range anywhere from increased chances of having children to decreased Dexterity. A heroes Personality also has an effect on the battlefield. Personalities attributes such as cocky, insightful, rebel, and fainthearted have to be taken into account before heading out for a fight. It's easy to get attached to a hero that has just the right mixture of Traits and Personality attributes. But death is always on the horizon for even the strongest hero. To ensure that your strongest bloodlines stay alive, you must build Keeps. 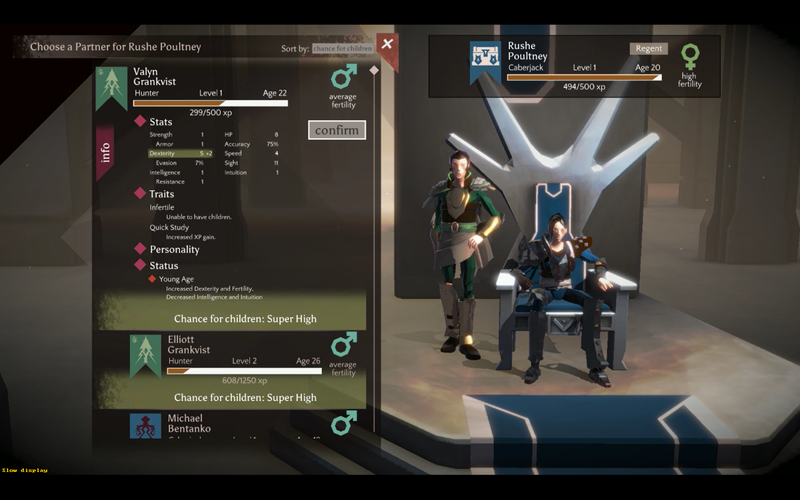 Once a Keep is built, you can select one male and one female to rule over the specified area. These heroes will stay in the Keep permanently and will not be available to fight off invading forces. In doing so, the heroes have the potential to make a child. This child will likely take on the attributes of either the mother or father. So pairing up a slow, drunk male, with a clumsy, cocky female might not be the best choice. At the same time you don't want to let your best heroes waste away in a castle, unable to fight. Due to the longevity of the war, a fast-forward feature allows you to skip ahead in time until the next important event begins. In-between battles you have the opportunity to research and improve your land and soldiers. There isn't a currency system in which you will have to save for better weapons and gear. In Massive Chalice, your greatest cost is time. To build a Keep, for example, takes seven years. Refined armor takes sixteen years. Adopting a baby takes three years. Without Keeps your heroes won't be able to continue their bloodline. Better armor will be required for defending against increasingly difficult enemies. Essentially all of the research options available to you are necessary in their own respect, but you will have to weight the cost of time with each decision. Once the Cadence attack, it's time for the turn-based elements to come into play. 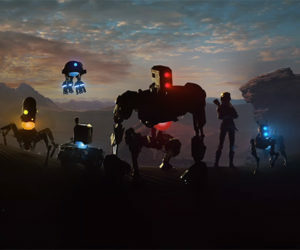 The gameplay revolves around a group of five heroes. This number can decrease if you don't have enough available heroes fit for battle (babies, teens, regents, etc. can't fight). There are three base classes: Caberjack, Hunter, and Alchemist. An additional six Hybrid classes are randomly given to the children of a Regent and partner. A Shadowjack, for example, is the product of a Caberjack Regent and a Hunter partner. Each class has it's own strengths and weaknesses. 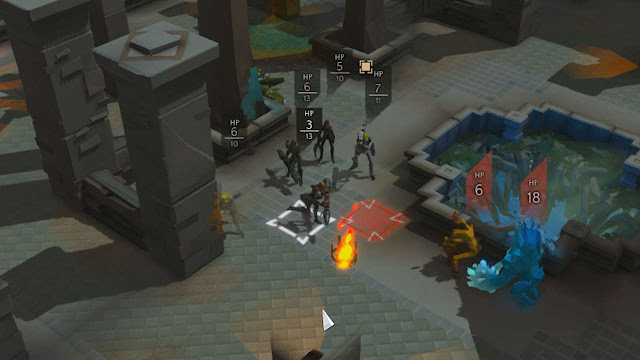 The Hunter class is equipped with a Crossbow for long range attacks. Alchemists wield a Thrower which can be used for melee or lobbing grenades. While the Caberjack uses a large log-like object called a Caber for dealing massive melee damage. Each turn consists of moving your heroes through the fog of war and eliminating all enemy threats. Choosing where to place your heroes has an increased amount of pressure due to the lack of a cover system. Attacks can be missed, but taking the hit percentage displayed above their heads before making your move is required for the more difficult battles. Every move counts, as death is permanent. The death of hero means the loss of that bloodlines relic. Relics are powerful weapons that can be created from base weapons of a fallen hero. After death, the Relic gets passed down to the next member of that bloodline. If there isn't anyone available, the Relic is buried with the owner and lost forever. Relic weapons can be leveled up during combat and provide huge bonuses such as high critical hit chances. But the owner has to have children to pass the Relic down. 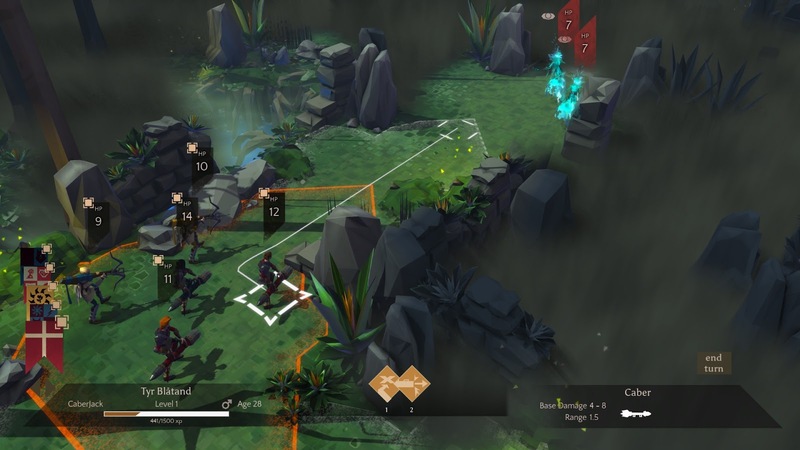 Another aspect of the long-term strategy involved in Massive Chalice. 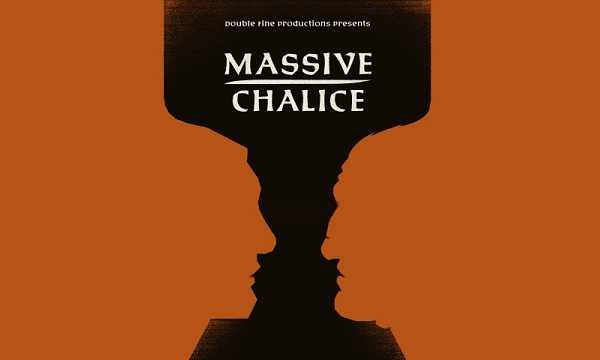 Massive Chalice is an excellent addition to genre. The bloodline elements create a system that is designed for long-term planning. Simply keeping your heroes alive isn't enough. Furthering bloodlines, preserving Relics, forming power couples, and researching new items is all necessary to win the 300 year-long war. Massive Chalice may not be as robust as other strategy games, but the key elements it does focus on make it great in its own right.